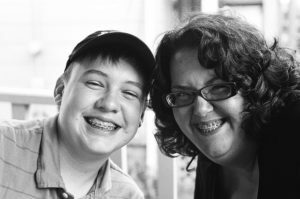 While the word “braces” may bring to mind the image of a teenager, in actuality there are many adults in the United States who are wearing braces or similar kinds of oral appliances. There are over a million adults who have some form of orthodontics on their teeth, while dentists and orthodontists alike are seeing their practices populated by at least 40 to 50 percent adult patients in a regular basis. This means that everyone wants to have straight, beautiful teeth, no matter what age they may be. Given that our society places emphasis on the accepted norms of beauty, this pressure to have uniform teeth is understandable. People with crooked, uneven teeth say they feel conscious when talking to their betters or their peers, and feel that they have been passed over for career opportunities because they don’t feel confident enough. Meanwhile, those who had their teeth straightened say their brighter, better smiles made them feel more confident and made them feel more attractive. So if you are wondering if you should have braces to correct an overbite or to simply have better teeth, the answer is as long as your gums and teeth are heathy enough, yes, you can! That doesn’t mean that your gum problems are going to be the end of your quest for better teeth, however. This just means that you have to first address your gum problems before your orthodontist would address your teeth misalignment. These things being said, you’re probably ready for a crash course on adult orthodontics. Here’s everything you need to know about it. Before you take the plunge and decide to get braces on your teeth, you have to consider a lot of things. First and foremost, go for a consultation. Ask your doctor how long the treatment would take, and decide if you can commit to it. Orthodontics for adults usually take 18 months to three years before they can be removed. While it may seem like a long time to have your teeth in metal brackets, remember that your teeth would probably outlast you and having straight teeth now would pay off later on. Next, it’s not enough that you are committed to having the braces on for a period of time: you also have to commit to the regular checkups and adjustments your dentist would require you to come in for. This means taking half a day off work or on your rest day to come into the dentist’s clinic once every four to six weeks. You have to make time for it, otherwise your treatment would be a moot point. Another factor to consider is that you would have to be pickier about what you would eat. You have to regulate your intake of hard or sticky food, because you might break off your brackets. Likewise, you have to constantly monitor your teeth after eating because it would be easier to have pieces of your meal stuck in your braces – a nightmare for every working man and woman! Finally, you have to pay closer attention to your oral hygiene. You have to brush more frequently and floss more regularly than you used to do before. You also have to use special brushes and tools to pick through your teeth after every meal. If you aren’t ready for any of these, then having appliances on your teeth might not work for you. Once you’ve determined that you really want to have straighter teeth, you have to look at your options. Your first considerations can be how much the braces would cost, are there any payment plans, or does your dental provider accept your insurance. After all, treatment can be pricey as the braces can cost $5,000 to $6,000. If they don’t accept insurance or if you are looking for a cheaper alternative, you can go to an orthodontic school clinic where many of the procedures are performed by students under the supervision of licensed practitioners. This will generally prove to be cheaper for you as you only have to pay for the materials and equipment, and you do not have to worry about professional fee. Check out the Commission on Dental Accreditation for a list of accredited dental schools. If you don’t want this option, then ask your dentist if you can use your credit card, or if there are payment plans for patients without insurance. Your dentist may be one of the many in the country that have partnered with financing companies to offer more flexible repayment terms for patients. Finally, and if you are really strapped for cash, you can consider researching about dental assistance programs in your state. They may be able to provide you with an alternative you can afford. Once you have determined that you can afford them, then it’s time to consider what treatment you should have. The more popular choice is the traditional route, which are metal braces. Brackets are glued to the front of the teeth and connected with a wire. Over a period of time, the dentist would tighten the wire to correct any teeth or jaw misalignment. These braces are lightweight and cheaper than other alternatives. However, some think it looks unsightly on adults. A costly alternative to having metal braces would be ceramic braces, in which the brackets are the color of your teeth. Another option would be to have clear aligners, or clear plastic trays that are placed on your teeth. You can take them out when you are eating or brushing your teeth –although you can lose them if they are easy to remove. Finally, you can also consider veneers, or thin, tooth-colored porcelain that is placed over your teeth. Your dentist may have to shave off parts of your tooth to ensure there is enough space for the veneers. This is a great alternative for stained, dull, or chipped teeth. In a nutshell, having braces as an adult is nothing to be ashamed of. With the many treatment options, you are guaranteed to find a solution that would fix your overbite or your misalignment issues. You don’t have to wait for a long time to perfect your smile – as long as you start now.